On October 7 2012 at 20:40 the generating unit # 2 of Leningradskaya NPP was connected to the grid after completing repairs at the turbine generator # 3 within the framework of the scheduled intermediate maintenance. The start of the generating unit was carried out in accordance with the requirements of safe operation. It should be reminded that the second generating unit of Leningradskaya Nuclear Power Plant was stopped for preventative and predictive maintenance at the end of June 2012. At present the turbine generator – 3 of the second generating unit is running at the nominal capacity of 400 MW, and the turbine generator -4 is undergoing hook-up and start-up works. 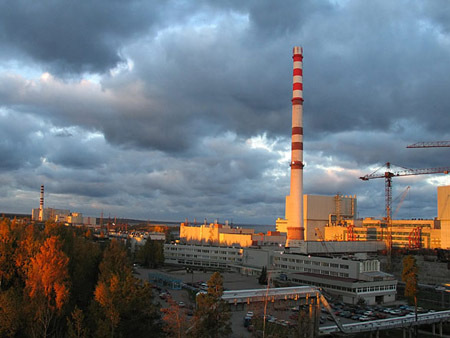 Durin the whole period of autumn-winter peak the second generating unit of Leningradskaya NPP will be operated at the capacity of 80% (for which the corresponding permission from Rostekhnadzor has been received), and the town of Sosnoviy Bor will be guaranteed heat supply. At present the generating unit # 1 of the Leningradskaya nuclear power plant is undergoing a scheduled maintenance, and the generating units #3 and 34 are carrying the load of 200 MW, set by the dispatching schedule. The radiation background in the area of the location of Leningradskaya NPP and the adjacent territory is at the level, corresponding to the normal operation of generating units and does not exceed the natural background parameters.